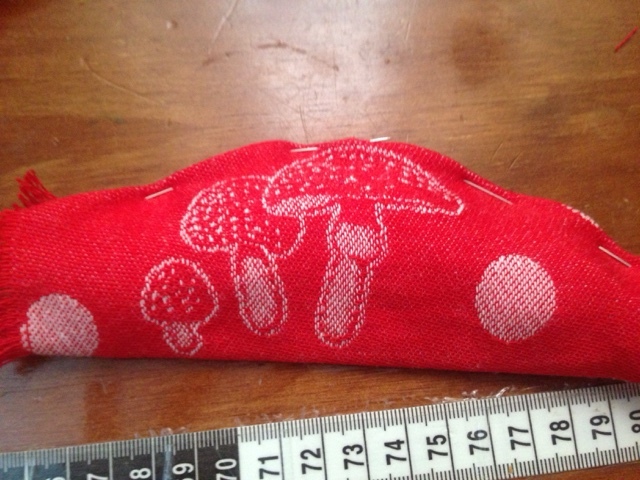 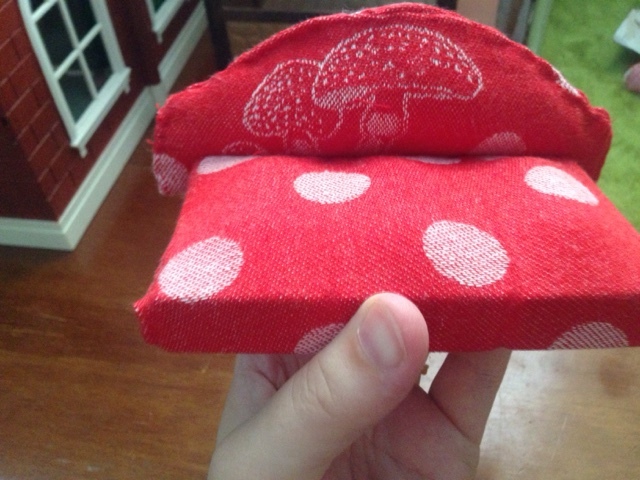 There are 2 ways to make this, you can either glue or sew it depending on what you find easiest. 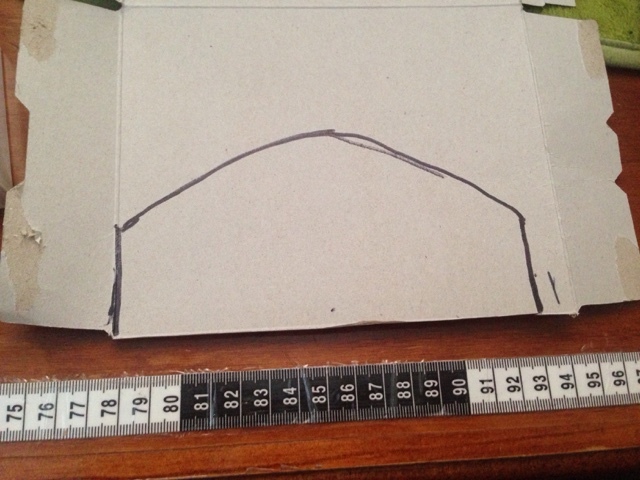 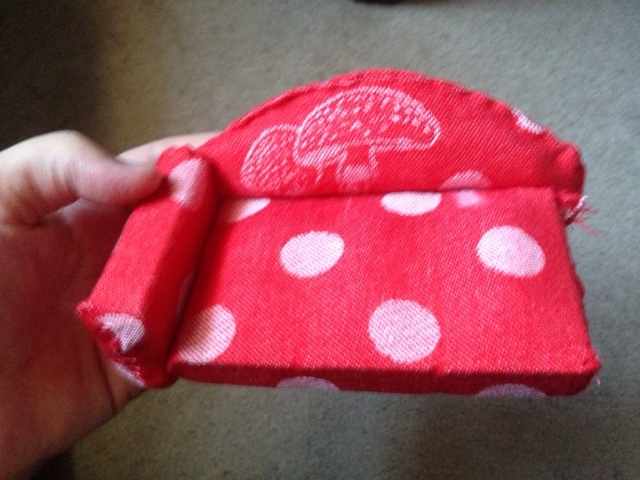 You can make the sofa back or bed head any shape you like, for this one I'm doing a simple arch shape. 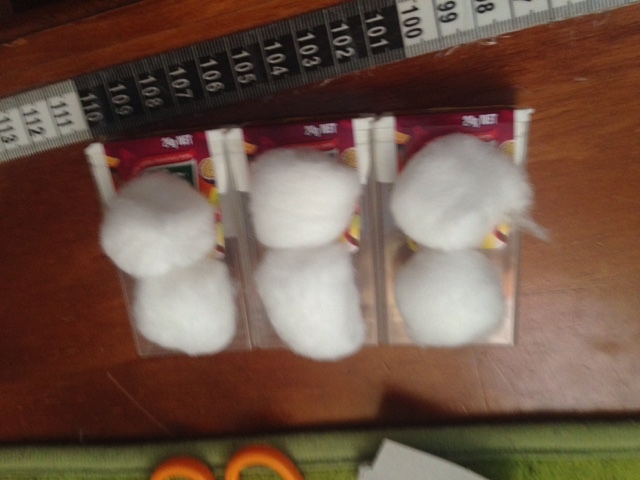 Then glue at least 2 cotton balls on each small box. 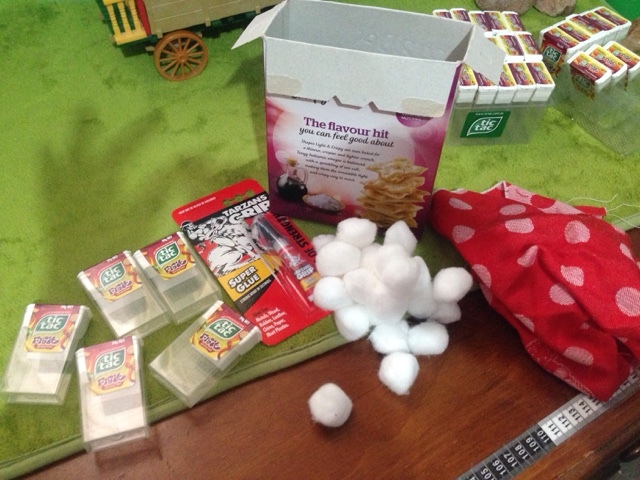 Glue cotton balls on your cardboard (leaving a space at the bottom to attach to small boxes). 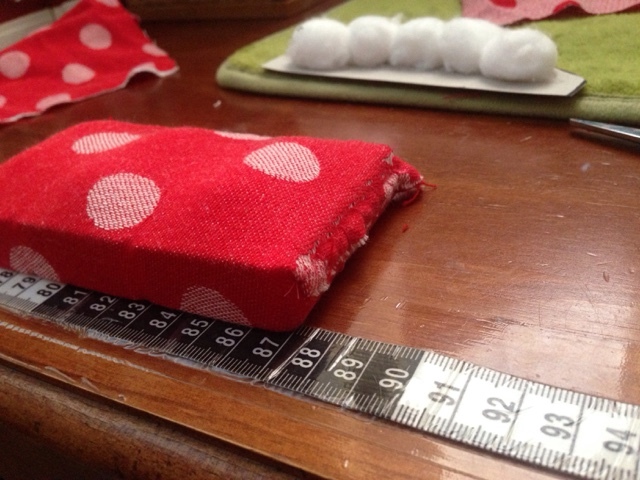 Measure cotton material for sofa seat/bed base. 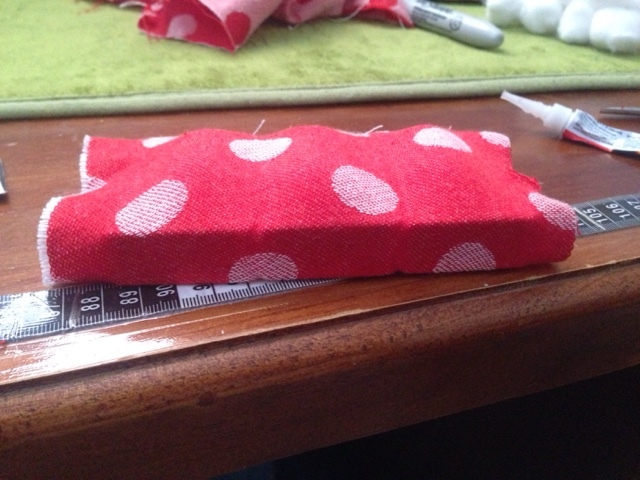 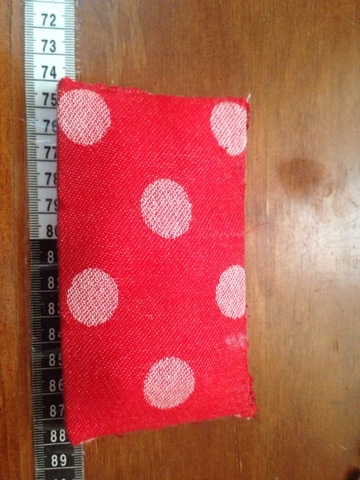 It should be enough to wrap around tightly with a small extra for seam. 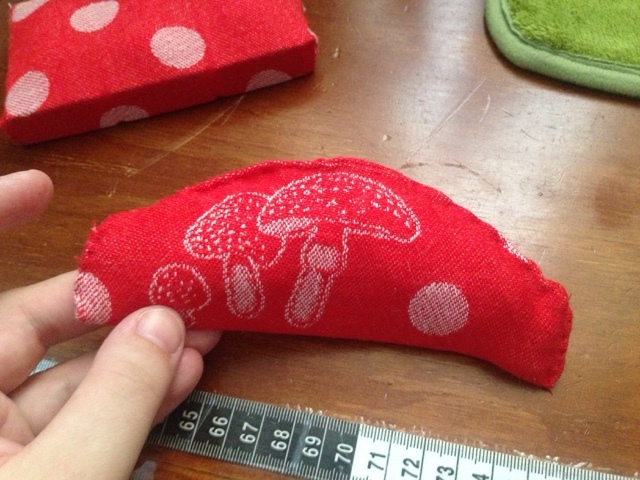 Glue or sew onto base. 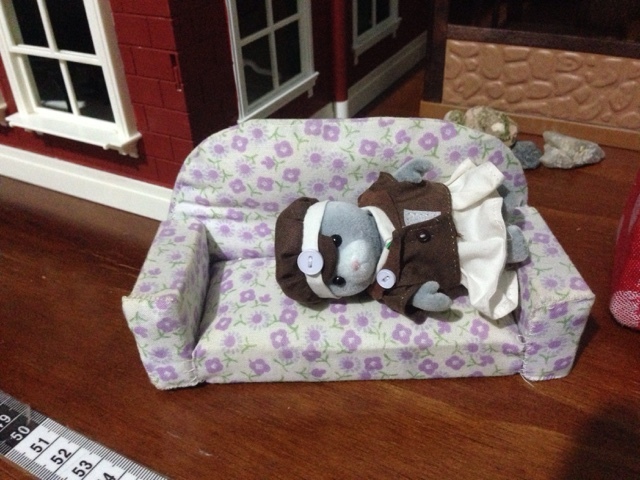 (Note: this one is glued, here is where I ran out of glue. 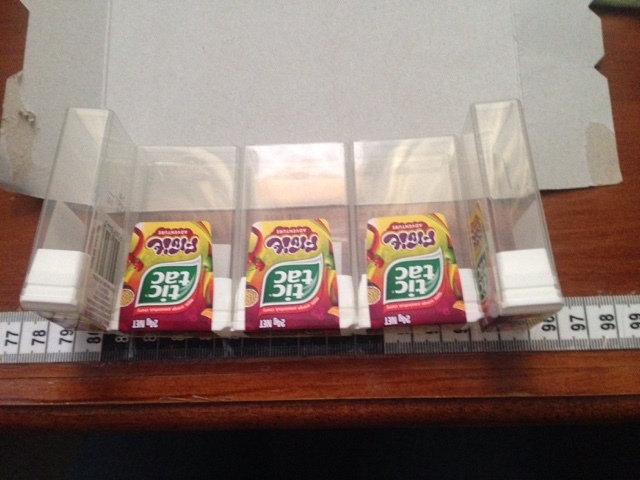 Remember to check that you have enough glue to start with. 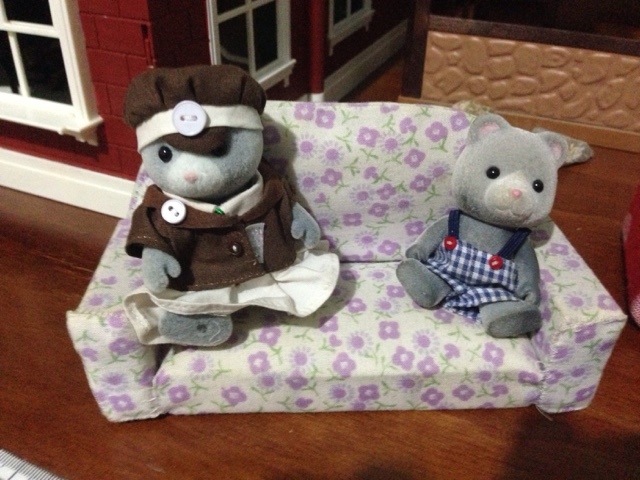 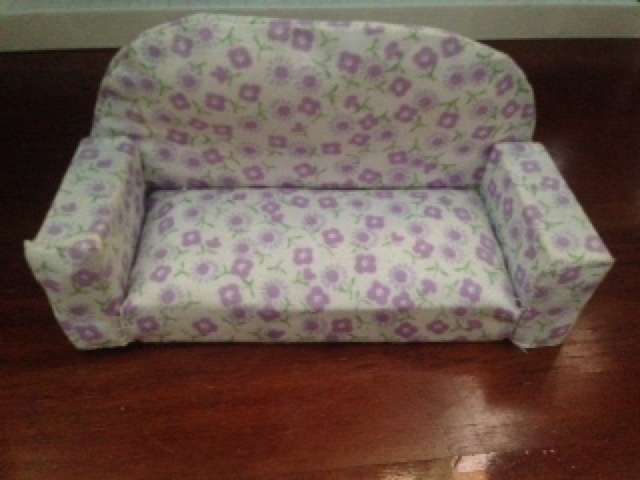 From now I am sewing this sofa). 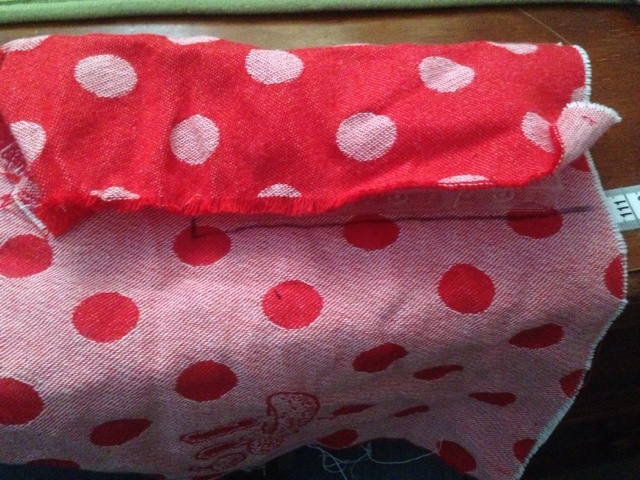 Remember to fold all seam edges in when you sew or glue. 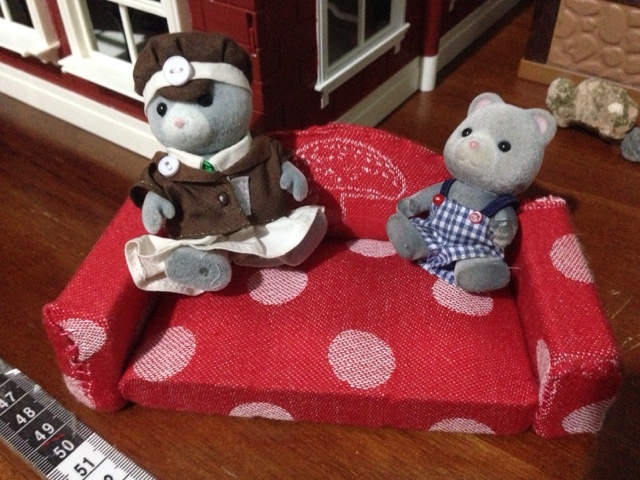 Now base is finished. 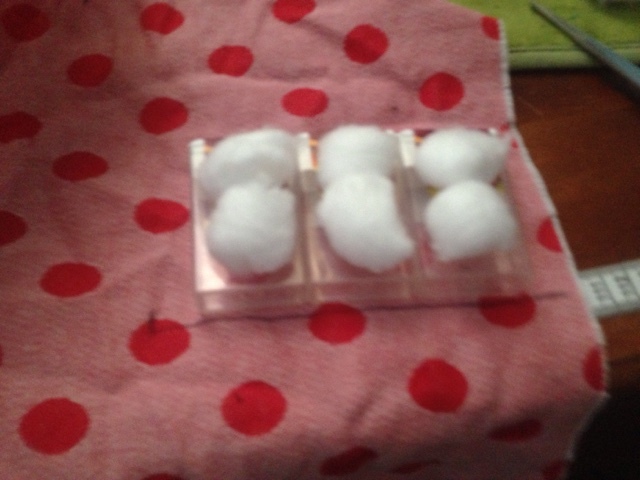 Glue or sew material to sofa back/bed head. 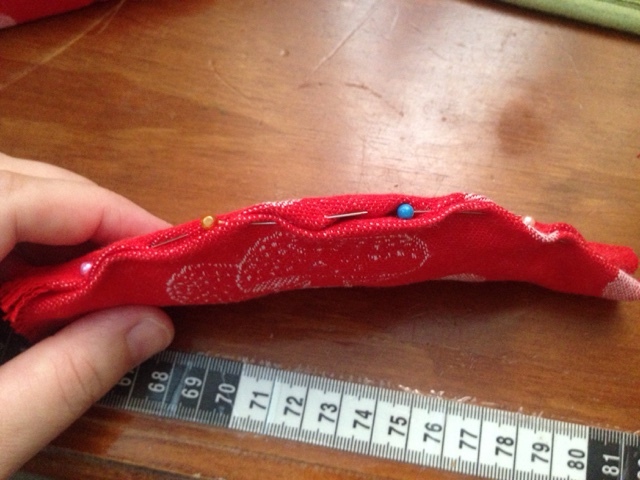 It is best to have the seam at the top, so you can shape it properly. 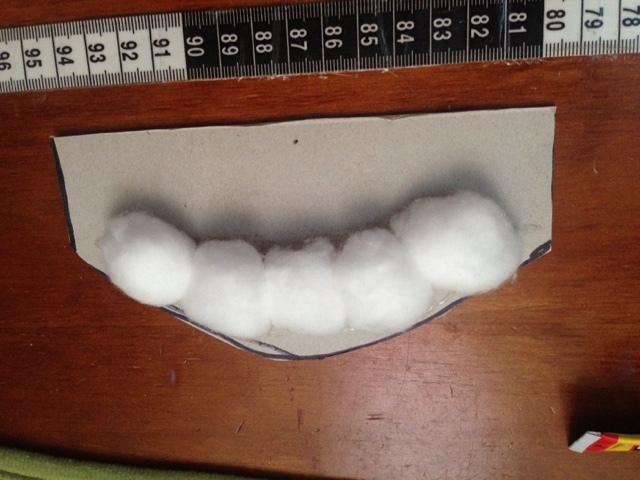 Now time to attach the base. 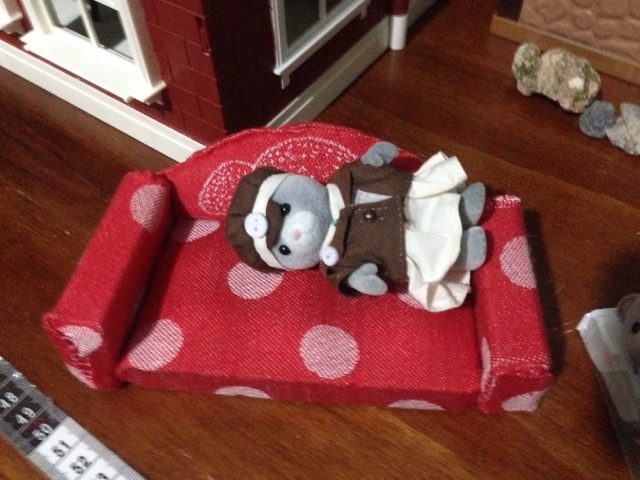 This is last step for the bed, continue on for sofa. 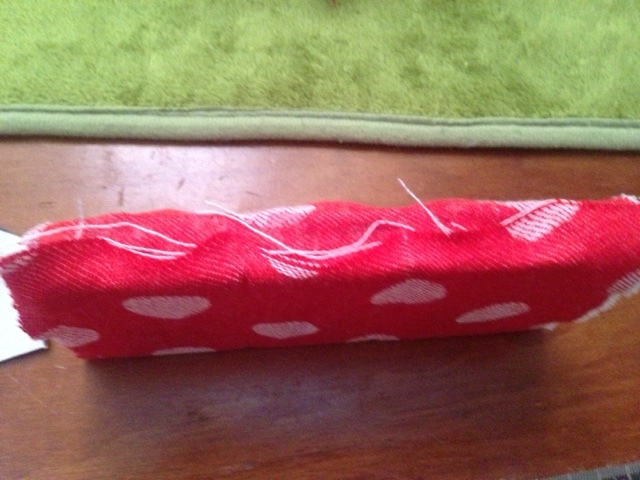 Then sew or glue 1 box on either end of sofa. 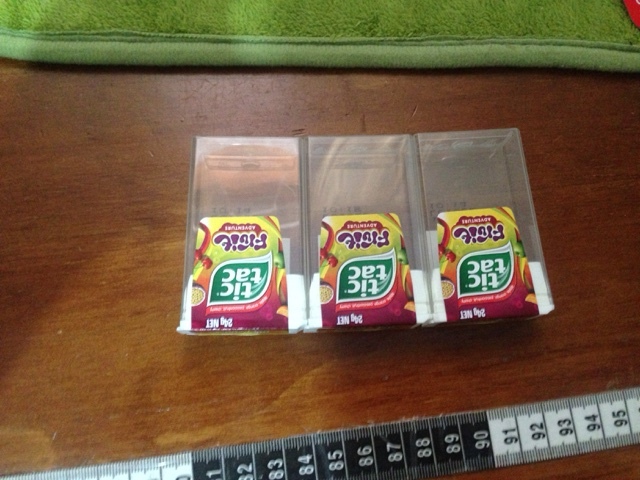 It's a lot bigger than I was expecting. 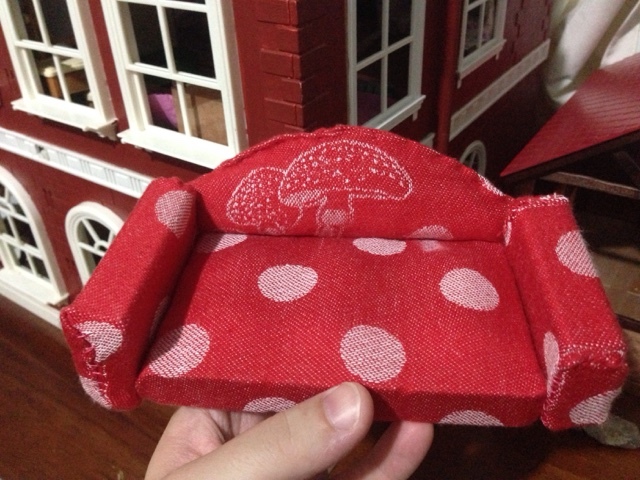 It's quite a bit bigger than one made with matchboxes.